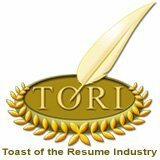 It’s that time when we announce the winners of the 2018 Toast of the Resume Industry (TORI) resume writing awards. Their resumes are also already online for your viewing and learning pleasure. You will be stunned and likely agree with the judge’s comments such as, “I am salivating over this format” and “This resume is perfect in every way”. This is the 19th consecutive year for this competition and the winning resumes demonstrate why CDI’s TORI competition is recognized as the most coveted industry accolade a resume writer can attain. The TORIs are an international competition in which contestants submit their best resume writing work in a specific category. Help us in recognizing and celebrating the following nominees winners. And, be sure to click the links below (or visit the awards page) to view their awarded resumes! Nominees are listed in no particular order.